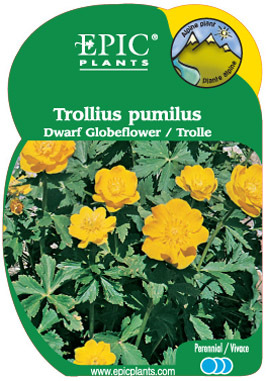 A dwarf species with finely divided foliage and bright yellow, globe or bowl-shaped flowers. Prefers a rich, moist soil. For the rock garden or front of the border.